Confidence is a tool you can use in your everyday life to do all kinds of cool stuff, not least to stop second-guessing yourself, manage your fears and become able to do more of the things that really matter to you. But not many people realize that their self-confidence works just like a muscle – it grows in response to the level of performance required of it. Either you use it or you lose it. 1. Learning is a great thing.Sign up for that evening class and enjoy it. Alternatively read a book (or take an online course) on a topic you’ve always wanted to learn more about. Learning new things stretches yourself, keeps your mind active and most definitely boosts your confidence. 2. Ask your partner or best friend what you can do for them today.This can be something as easy as helping them with a chore they don’t like or have little time for. Through helping then, you’ll find that you help yourself. 3. Hit the gym.The physiological effects after hitting the gym will leave you feeling great. Countless studies have shown that regular workouts at the gym can boost not only your sense of well-being, but can increase your self-esteem too. 4. Go to a networking event and focus on how you can be helpful to others.Rather than being nervous about your own stuff, focus on how to help others. Instead of going along with the aim of trying to sell yourself to others, why not change your approach and simply go along to see how you can help the people you meet? By doing this, you’ll come across as calm, confident and someone that people will want to turn to again and again. 5. Get crystal clear on the things that truly matter to you.If these things are not in your life, you’ll need to bring them in. For example, if your daily work routine is currently as dull as dishwater – but you’d like it to be fun – then do something about it. Turn data entry into personal speed contests, paper filing into ‘screen free’ time and interactions with your colleagues into jovial and enjoyable conversations. 6. Write a list of things you’ve been tolerating and remove them from life.Write a list of the things you’re tolerating and putting up with in your life, then write down how you can remove, minimize or diminish each one. I personally like to do this with pen and paper as it feels just a little more real and definite than on screen. It’s also a good idea to put the priority items at the top of your list, so you can begin resolving these first. 7. Celebrate your big and small wins.Look at a great (or small) win or success you’ve experienced and give yourself credit for your part in it. Recognizing your achievements is not egotistical, it’s healthy. 8. When you’re at a social event, don’t just stick with the people you know.Go and have a conversation with someone you don’t know. By doing this you may be pleasantly surprised by what – or who – you’ll discover. You can also extend this trait by breaking outside of your normal social circle at your workplace. 9. Say “what the hell” but still do it anyway for a new challenge or invitation.Next time you talk yourself out of doing something (a party invite, a challenging project or whatever else), say “What the Hell” and go and do it anyway. When I was younger, if I didn’t want to work on something, I quickly found reasons not to do it. Now, however, I’m much more focused on stretching my talents and abilities, so it’s not uncommon for me to say to myself “What the Hell” – and then get cracking! 10. Do one thing each day that makes you smile (on the inside or on the outside).This could be something as simple as sending a thank you email to a colleague that has been helpful to you – or leaving a surprise present for your partner that they’ll discover when they wake up. Life shouldn’t be drudgery, but we all need to make the effort to keep it light, loving and fun. 11. Look for the thing that makes you second-guess or overthink.Look for the patterns of thought that take you to a place where you start second-guessing or over-thinking. Now imagine that your best friend went through exactly the same thought process and ended up holding themselves back – what would you want to say to them? 12. Ask that girl or guy you fancy out (if you’re single).If you’re single but have met someone that you’re definitely attracted to – go ahead and ask them out. Even if they turn you down, your confidence will be boosted by the fact that you were decisive and made an effort. What’s the best thing that could happen? They might just say yes! 13. Keep your mind well nourished by writing a list of 20 things that make you feel good.Think of this as a gratitude list. Typical things you might include are: your partner, your kids, your parents, your pets, etc. I recommend writing this list at least once a month. And most importantly – make sure you’re giving the 20 things plenty of room in your life. 14. Stop playing different roles just to impress others.Stop playing different roles and squeezing yourself into boxes based on what you think people expect you to act like. I can’t stress this enough – be your AUTHENTIC self. The one who knows what to do, and loves what they do. It’s easy to find this part of yourself, as it’s inherent in your hobbies and your close friendships. If you can bring this authenticity into your work life, you’ll be surprised at how positively others will react to you. 15. Learn to catch yourself when you think you’re not good enough.Learn to catch yourself every time you tell yourself that you can’t have, won’t get or aren’t good enough to get what you want. Instead, tell yourself that you can have, will get and are good enough to get what you want. Mindset is everything. Make sure yours is positive and dynamic. 16. Take yourself off auto-pilotMake deliberate decisions on what really matters to you. For instance, if you normally work 9-to-5 but find yourself spending hours getting to and from work, why not negotiate with your boss to mix your hours up a bit? You might also suggest a day or two working from home. Sell this to your boss by reminding them that the time and stress lost to commuting can be neatly transferred to productive work hours. 17. Listen carefully what you tell yourself when you face a challenge.Next time you come up against a risk or a challenge, listen to what you tell yourself, and look for a way to improve your inner dialog. 18. Laugh at yourself for being silly.Scared of looking silly? It’s no biggie so don’t let it stop you. I want you to say it with me… “It just doesn’t matter!” That’s right. Whenever we try something new there’s a fair chance that we’ll make fools of ourselves. But you’d be a bigger fool to let that stop you. Instead, laugh at your baby steps and watch your confidence soar as you begin to master your chosen activity. 19. Don’t think for a second that you can’t be confident.There are already loads of things you do with natural self-confidence, you just have to notice them and get familiar with how that confidence feels. I’m sure you know what I mean. For example, think about brushing your teeth, walking in a park or talking to a close friend. You do all these things naturally and confidently. Take that same feeling and self-assurance and transplant it to things you lack confidence in (public speaking being a common one). 20. Listen to your doubts but be ready to make definite decisions after you’ve heard them.Sometimes your doubts are there to let you know what you need to prepare for – so you can use them to your benefit as you move forwards. Other times they are just doubts. The trick is to quickly determine if your doubts have validity. If they do, use them to shape your decisions. To illustrate this, imagine that you’ve had an enticing job offer, but you doubt whether you’re capable of doing the job. Spend a little time analyzing your doubts to see whether they reflect reality – or whether they are just negative thoughts that are trying to hold you back. 21. Recall the time you’re riding high and achieving great things.Think of a time when it felt like a whole bank of switches in your head flicked to the on position and you were firing on all cylinders. What were you doing and what’s the reason it felt so great? Can you emulate that passion and drive that you had? When your confidence or motivation is running low, delve into your memory bank and pull out times when you were riding high and achieving great things. Dwell on the good times until you feel your current levels of drive stepping back up. And then… get to work! 22. Tear up your rule book.You may not know it, but you’ve almost certainly got a whole bunch of out-dated rules that determine what you do, don’t do, should do and shouldn’t do. These rules limit your thinking and limit your behaviour. It’s time to change them. Tear up this subconscious rule book and toss it in the fire. Once you’ve done this, you’ll immediately notice how free you feel to make challenging and exciting decisions. Life will be dynamic and fun again. 23. Pause and ask yourself what you have gained when you lose.Do you get annoyed with yourself because you didn’t make the most of something or stepped back from an opportunity? Well, firstly, don’t beat yourself up because that’s just going to make you feel worse. Instead, be brutally honest and ask yourself what you gained from the situation and what you lost out on. Based on this win/lose balance, what’s a different choice you can make next time? 24. If you’d already done everything in life you’d have, no need to be scared.Don’t ever think that being scared means you’re not confident, it simply means you’re going somewhere new. And as the world offers virtually unlimited possibilities and opportunities, you’ll likely be encountering new things all the time. 25. Let people know you don’t deserve being put down.If there’s someone in your life who puts you down or makes you feel small, you owe it to yourself to let them know that you expect something different from now on. Truly, you deserve better. And they deserve to know better! Of course, I’m not suggesting you have a major confrontation, but you will need to dig deep into your assertiveness reservoir before having the conversation. Trust me, once you’ve told them, they’ll change – and you will too. Inevitably, you’ll boost both your confidence and happiness by taking control of your life in this way. 26. Flirt — it’s a great way to help you connect with people and have fun.Now, please don’t get me wrong, I’m not suggesting physical flirtation (this could be misconstrued as sexual harassment). What I’m referring to is jokey, social conversation that makes all parties feel positive, open and happy. You can think of it as turning formal interactions into informal ones. 27. Reveal a little bit of the real you in a relationship that might feel like it’s in a rut.Let’s face it, relationships can be difficult. They usually start off smoothly but then run into some rough patches. They can also lose their zest and become stale. If this happens in your relationship, then it’s time to add some magic to the mix. Try revealing something interesting about yourself or your past that your partner doesn’t currently know about. Perhaps you never mentioned to them that you used to play in a rock band – and you still have the recordings to prove it! By adding new things to your relationship, you’ll deepen the bond between yourselves and keep the spark alive. 28. Acknowledge both good and bad experiences in life.Acknowledge and welcome all of your experiences – the good stuff as well as the bad stuff. It’s all equally valid and hiding things away because you don’t like them is just creating conflict. And it’s important to remember that the bad stuff is often more helpful in the long run than the good stuff. 29. Always recognize that you are meant for any tough situationsRecognize that you’re more than a match for any situation you might find yourself in – no matter how tough the going gets. We all love movies like Die Hard where ordinary people are driven to super-ordinary feats. But here’s the rub: you can be your own action hero. 30. Look for more useful ways of engaging with what happens in your life, not everything happening around.Two words for you… the internet! Yes, nowadays this is the No. 1 way that we distract ourselves and lose our focus. Breaking news, social media updates, Netflix, etc. It’s a 24-hour non-stop avalanche of content. The problem is of course, we can’t consume this content 24 hours a day! We need to sleep, eat, work, rest, socialize and much more. The trick is to prioritize your time and stick strictly to your schedule. Your typical day might look something like this: 8 hours sleeping, 30 minutes showering and dressing, 30 minutes breakfast, 30 minutes commuting, 8 hours working, 30 minutes commuting, 2 hours preparing and eating dinner, 1 hour studying, 3 hours relaxing/socializing. Note that your casual internet use would only fall within the last 3 hours of your day – more than enough time to catch up with the online world! 31. Don’t automatically give in to the instant pay-off – it often means you’re selling yourself short.If I was to offer you $100 now for a day’s work tomorrow or $110 for the same work but I won’t pay you for a week, which would you choose? Well I can’t read your mind, but I do know that studies using a similar question to this have found that most people choose the instant, but smaller payment over the later, but bigger payment. It seems that we’re hardwired for instant gratification. However, if you want to be a success in life, always look at the bigger picture. In the example above, if you could have only waited seven more days – you would have been $10 richer! 32. Instead of yelling “I deserve better than this!”, say “I can BE better than this.”Too often I hear people complaining about their personal circumstances but refusing to do anything about it. Don’t be like them. If things aren’t going your way, find solutions and implement them. Your boldness and decisiveness will boost your confidence and help you rapidly climb the ladder of success. 33. Confidence means admitting you’re wrong.It may not be easy, but you should always be prepared to hold your hands up and change your mind if things are going south. Not every idea you have will be a winning one. The trick is to know when things are clearly not working out. In these cases you still have control. You can either attempt to get them back on track – or kill them off completely (sometimes that’s the best way). 34. Trust your instincts.We all have our gut feelings and intuitions, but many people choose to ignore them and rely only on facts, facts and more facts! While this may work for many scenarios, there will be other times when you’ll need to rely on your instincts. For example, would you take someone on a date to somewhere that you believed was ‘factually’ the best place? No. That would be nonsense. Instead, you’d trust your feelings on where would be the best place to enjoy the perfect first date. 35. Fear is a way of letting you know that you’re about to stretch yourself and grow your confidence.That’s a good thing. So rather than running away from fear – use it to keep pushing yourself forwards. I also highly recommend you give Susan Jeffers’ classic book Feel the Fear and Do It Anyway a read. 36. Imagine your confident future self, what would you do?Imagine you’re visited by a successful, confident, attractive and vibrant version of you from the future, a version of you who’s everything you hope to be. What do they want to tell you? It’s a good question, right? They might praise your efforts, but they may also criticize your lack of planning and weak goals. Luckily, if you listen closely to what they tell you, you’ll be able to rapidly shift gears in your life and become… the you of the future! 37. Don’t feel like you have to do everything yourself.This is a common issue. We take on way too many responsibilities, and end up either burning ourselves out – or just doing a bad job! The secret is to put the vast majority of your energy and efforts into what you do well. Give the stuff you don’t do well to others who have a gift for it. Sometimes the most confident and effective thing to do is ask for help. 38. Take a chance on something tomorrow.Big or small, just take a chance. You’ll be amazed what this approach can do for your life and your confidence. You’ll feel energized, bold and adventurous. If you’re short on ideas, try these: ask your boss for a pay rise, go somewhere new for lunch, open yourself up to a friend. 39. You need to be around people who make you feel like YOU.Do this by spending more time with the people who support and encourage you, and less time with those who undermine you. At work, don’t let your lunchtimes be ruined by negative, petty people. Instead, make sure you surround yourself with colleagues who make you laugh and feel good about yourself. 40. Stop struggling against the things you don’t like in your life.Instead, create a harmonious environment around you that flows and allows you to be you. In other words, don’t keep doing things you don’t want to do. For instance, if you always buy the same food week in week out but find yourself complaining how dull the food is – put a stop to it! You can break free from this rut by visiting grocery stores, cafes and restaurants that you’ve never frequented before. Typically, this could be your church, a sports club or even just a weekly get together with your best friend. 42. Forget the pros and cons – do something bold in the face of your challenges and fears.Pros and cons are often rammed down our throats over and over again. You know what I mean: “Don’t make a decision until you’ve listed all of the pros and cons… blah, blah, blah!” Now don’t get me wrong, there’re definitely times for using pros and cons, but there’re definitely other times when you should just go with your gut. By doing this you’ll feel strong, free and ultra-confident. 43. Work on developing the skills you need to win at the things that matter to you.What can you practice that would radically improve your chances of winning? If you want to climb the corporate ladder, for example, then develop the skills needed to do this. These might include: effective project management skills, powerful presentational abilities, and superb goal setting skills. And of course, don’t forget that emulating those who have already achieved your goal is one of the quickest and most reliable ways for you to achieve your aims too. 44. Act till you make it.The body is a mirror for the mind, so shifting your body into a confident state can have surprising results. This is all about acting. If you want to come across as tough, act tough. If you want to come across as successful, act successful. And if you want to come across as confident, act confident. Try doing these things, and you’ll be amazed by the results. 45. Push through it when you feel like giving up.Don’t get disheartened or demotivated when you get to 90% with something you’re working on. Push through and you’ll see that the last 10% is where the magic happens. Many people fall at the last hurdle. Instead, be aware that around the 90% mark of a project you may begin to struggle. Refocus your efforts and energies and push right through to the end. Once you do this, you’ll not only be rewarded with a completed project – but your self-esteem will tick up a notch too. 46. Stop validating yourself by comparing with others.Keep comparing yourself to others? Stop it. Don’t try to validate yourself through comparison – you’re just peachy as you are. I used to do this a lot. I was always comparing myself to my friends, family members and colleagues. If you’re the most successful among them, then comparing yourself may boost your confidence. But, like me when I was younger, if many of your associates are much more successful than you, than your confidence can be shot to pieces by you endlessly comparing yourself to them. My advice? Put comparisons aside, and instead, focus on your own unique path. 47. Speak up when there’s something you can do to make a difference.Put your head above the parapet at work and speak up if there’s something you think could be improved or if you have an idea you think has legs. Have you noticed that quiet people at work rarely get the promotions? It’s not that there’re incapable or lacking talent, but their abilities are usually overlooked as they don’t know how to engage with others – or how to sell themselves. To get on in this world, be sure that you’re an active player. Speak up in meetings by suggesting ideas and offering constructive criticism, etc. Before long, you’ll be noticed, and not long after that, you’ll begin your ascent up the ladder of success. 48. Sometimes you need to stop struggling and start accepting.If there’s something you’ve been struggling to understand for a while, stop trying to understand it. Accept it just as it is, fully and wholly. Life offers endless mysteries. If you try to resolve them all you’ll drive yourself insane! Instead, let some mysteries remain, and keep your mind focused on your goals and dreams. 49. It’s okay to be shy.There’s nothing wrong with being shy and it doesn’t mean you’re not a confident person. If you suffer from shyness, you might think it’s a major weakness of yours. But introverted people have the edge in many ways, such as: they’re first-rate listeners, they have excellent observational skills, and they’re easier to trust. 50. Clean up your environment.Your environment directly impacts your self-perception. So if you’re surrounded by clutter, paperwork and rubbish, put a morning aside to clean up your stuff and get organised. Enough said. Time to get decluttering! 51. Write a list of things you’ve love to do.Write yourself a list of the amazing things you’d love to do in your life, and make a start by simply looking into the first one or two things that leap out at you. Even if you don’t currently have the means to live your dreams, you can at the very least make a start. The best way to do this is to write out the things you’d love to do. These may include cool stuff, such as travelling the world, learning a new language, or climbing a mountain. Once you’ve added the items to your list – don’t stop there. Begin researching and preparing ways to turn your dreams into realities. 52. Make your self-worth independent from others’ validation.Don’t make your happiness or self-worth dependent on being in a relationship or being validated by someone else. While it’s difficult to admit it, we often find ourselves rating our self-esteem by the value other people put on us. For instance, you may have a super-positive boss who is always encouraging and supportive. They make you feel upbeat and confident at all times. However, imagine if they left and your new boss was the complete opposite. They constantly look for faults in your work and regularly criticize you. Would you still feel confident in those circumstances? If you’ve answered no, then you need to reappraise your self-worth, as it shouldn’t be dependent on the validation of others. 53. Use your strengths to overcome your weaknesses.We all have our weaknesses but they only undermine your confidence if you let them. For instance, are you aware that Virgin’s founder Richard Branson suffers from dyslexia? He never let this hold him back or destroy his confidence. Today, he is one of the world’s most successful men, with a net worth of approximately $5 billion. 54. Have a to-do list and get these things done as soon as possible.The longer you leave that big thing on your to-do list the more it’ll drain you and the bigger it’ll seem. Get it done and free yourself up. Imagine for a moment that you set yourself a goal to write the first chapter of a book idea that you’ve come up with. When you added it to your to-do list you were excited. However, as the days, weeks and months went by… it was still on your list – but you hadn’t written a word! Clearly, the task had overwhelmed you, and you had fallen victim to that common visitor – Mr. Procrastination! Unfortunately, by having the task on your to-do list for so long, it had consciously and subconsciously began to eat into your confidence. The answer of course, is to break down tasks into smaller ones. For instance, instead of trying to write a whole chapter in one go – how about just writing the opening paragraph? What golden threads, themes, patterns and passions have always been in your life? Once you’ve got them clear in your mind (or down on paper), ask yourself: “Are these things present in my life right now?” If not, you’ll need to take action and begin shifting your priorities. 55. Treat your body well.Your body image does matter, because if you have a bad relationship with your body you won’t be feeling confident in yourself. What’s one of the first things most of us do when we get up in the morning? We look in the mirror. If we don’t like what we see there, then our day starts off on a negative note. If, on the other hand, we look in the mirror and feel proud of our appearance, then we start the day off in an upbeat, positive way. If you’re unhappy with your body and looks, do something to improve them. Exercise, diet and styling are common ways of improving your body image – and your confidence. 56. Never stop boosting your confidence.Being confident is an ongoing process. It isn’t a goal or an end-point that you reach and then stop. Think of it like learning. If you only learn at school, and then never learn anything else, do you think you’ll be able to keep growing and improving your life? It’s the same with confidence. Keep pushing yourself forward, and your confidence levels will develop with you. 57. Try a new path.The well-trodden paths of your life can easily turn from familiarity to apathy and disconnection. A new path wakes you up, makes you feel fresh and alive again! Try it and see. 58. Learn to say no, you don’t live to please others.Don’t say “Yes” to taking on a task simply because you don’t want to rock the boat. You can politely decline requests you can’t meet without needing to create excuses. While saying yes to everything that comes your way might feel like you’re being helpful and in demand, in the long run, you’ll burn yourself out. To keep your energy and drive at its optimum, be sure to refrain from overwork. If your plate is full already, then don’t hesitate to turn down non-urgent requests. Not only will you save yourself from a breakdown, but people will respect you more. 59. Look up to confident people and learn from them.Look at the people you respect who seem confident. Don’t copy them, but identify what it is they do differently that conveys confidence and what you can learn from it. People watching is not only fun, but it can be VERY informative too. Look closely at successful people you know, or those being interviewed on TV, and overtime you’ll begin to notice common traits, beliefs and behaviours that they exhibit. Start adopting some of these, and it’ll be liking putting on the clothes of successful people. And when others are people watching – they’ll notice you! 60. Make a plan to do something, then make deliberate choices to follow through.Most people find it easy to write plans. The hard part, of course, is seeing them through. To stand out from the crowd make sure that you know exactly how to complete your plans. If you need to, write down a step-by-step guide and begin following it. Not only will this drive you towards the completion of your plans – but experiencing the progress will also give you a continuous boost to your self-esteem. 61. Swift your focus when you start to doubt yourself.When you feel yourself focusing inwards and becoming paralysed with doubt or fear, switch to focusing outwards at what you can engage and interact with. I remember one of my writing tutor’s telling me that when the words stop flowing, it’s time to take a break – preferably a walk in the park. It’s sound advice, as it’s very easy to get caught up with our thoughts and emotions and be unable to make progress. If your struggling to get started – try doing something completely different. 62. Never beat yourself up for failing or screwing up.Life is guaranteed to not always be a barrel of laughs. Instead, it’s much more like a roller coaster. They’ll be ups and downs, slow periods and super-fast periods. The art of living is to know how to handle whatever comes you way. The best way to achieve this is by developing an iron-core that is unhindered by the topsy-turvy outside world. Here I’ve given you 62 different ways to build confidence. Take action on the ways that you’re drawn to. It’s not enough to read about them. For them to work, you must adopt them into your daily life. Do this, and you’ll never need worry about your confidence levels ever again. On this trip you’ll journey to Morocco’s classic destinations, visiting its four imperial cities, its mountains and its desert. Over 17 amazing days you’ll see the stunning colonial architecture and palm-lined boulevards of Rabat, the impressive ramparts and monumental gates of Meknes, the craftsmen, markets, tanneries and mosques of Fes, the endless dunes of the Sahara Desert, the diverse landscapes of the Rif, Middle and High Atlas Mountains, and the storytellers, snake charmers and henna painters of Marrakech’s Djemaa el Fna. 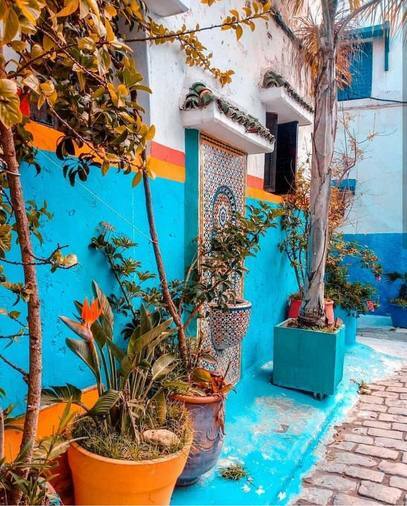 Along the way you’ll wander the winding paths of Chefchaouen’s whitewashed medina, go back in time to the Roman Empire at the archaeological site of Volubilis, and discover the 17th century kasbahs of Ait Ben Haddou. With each destination having its own unique history, wonders and highlights, this journey through classic Morocco is one unforgettable cultural adventure! As SimonSays Entertainment Director of Development, April produced Sundance features: Blue Caprice (w/Isaiah Washington), Mother of George (w/Danai Gurira), Gun Hill Road (w/Esai Morales). April was on the Tony-winning producing teams for 2017 Tony for Best Revival for August Wilson's Jitney directed by Ruben Santiago Hudson and 2012 Tony for Best Revival, Porgy & Bess starring Audra MacDonald (Tony). April wrote, produced & starred in her Miami Trilogy of plays: Good Bread Alley and Liberty City (Drama Desk, Outer Critics, Lortel noms & Jeff Award) at New York Theatre Workshop. Her latest play, Black Lives is in development at NYTW. April has taught at Rutgers University, Vassar College, Harlem School of the Arts, University of Zimbabwe, Maggie Flanigan Studio and various Universities throughout the United States as a Teaching Artist for The Acting Company. 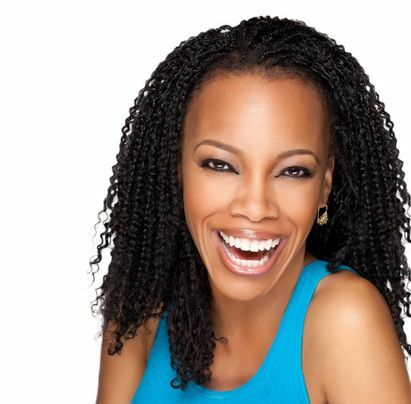 April has served as Artist in Residence at Manhattan Theatre Club, 651 Arts, NYTW and Director/Founder of the The Children’s Defense Fund’s Fundi Freedom Schools where she developed Arts in Education Curriculum for 1500 at-risk students. Have you spent thousands of dollars in training and still can't book a TV/Film role? Do you feel like your dream of making a living doing what you love is fading away as you get older and still can't make ends meet? Feel like you can't break through and tired of starving? Well, I'm here to tell you exactly what they don't teach you in MFA programs, writing programs and acting studios. Ready to hear the secret to learning how to make a living doing what you love? Are you ready to start booking the kind of work that allows you to soar at your craft while still buying a house, travelling the world, planning a wedding and having a family that doesn't have to starve for your art? Do you constantly audition and NEVER GET A CALLBACK? Are you STUCK in dayplayer world and can never BOOK the guest star, co-star, recurring or imagine a series regular? Have you tried to memorize lines for a TV audition that you just got 2 hours ago and none of it will stick in your head? and you'll finish your first draft in 8 weeks.